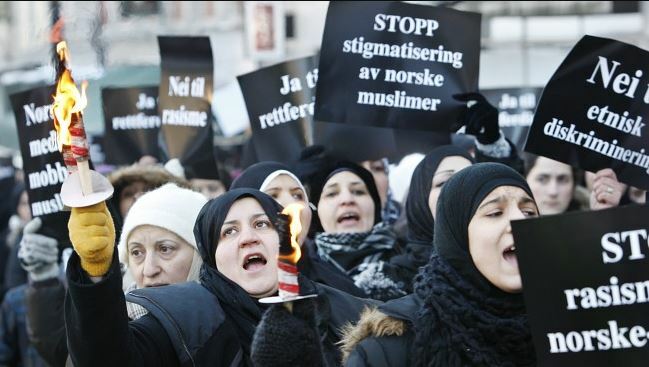 In Groruddalen, a large neighborhood of the Norwegian capital, heavy Muslim immigration is testing multiculturalism’s limits. With a population exceeding 600,000, Oslo is divided into two parts by Akerselva, a modest brook that runs from the mountains in the north down into the Oslo Fjord. West Oslo is the upscale side of town, with fancy townhouses near the city center and, farther out, elegant neighborhoods full of large, handsome houses and wide, well-tended lawns. East Oslo is grungier: on the downtown end, you’ll find East Village–type districts with cool bars and clubs and plenty of graffiti, plus a couple of largely Muslim areas, Tøyen and Grønland; farther east lies Groruddalen.